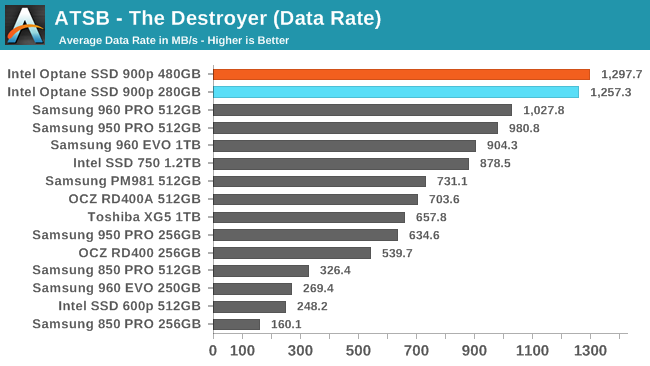 The average data rate of the 480GB Optane SSD 900p on The Destroyer is a few percent higher than the 280GB model scored, further increasing the lead over the fastest flash-based SSDs. 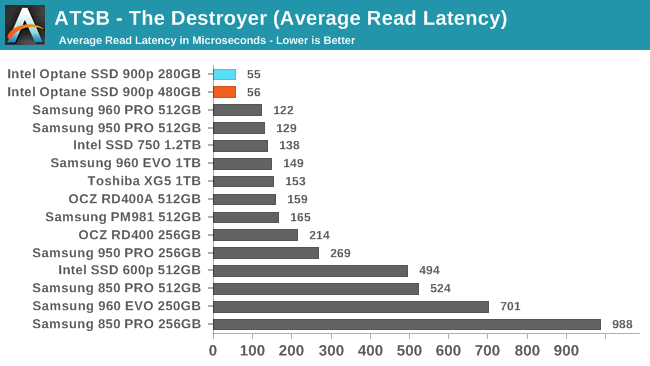 The 480GB Optane SSD 900p shows a substantial drop in average latency relative to the 280GB model, allowing it to score better than any flash-based SSD. 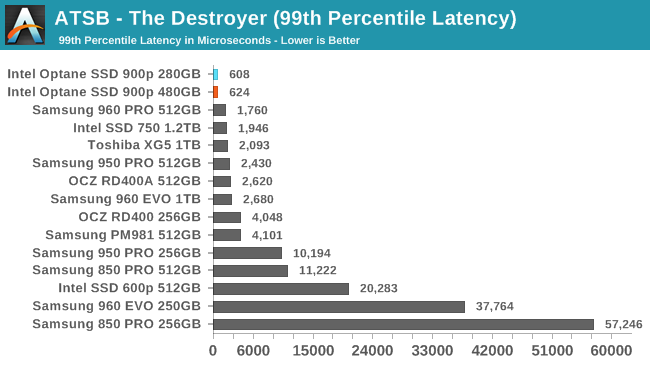 For 99th percentile latency the 480GB model scores slightly worse than the 280GB, but both are still far ahead of any competing drive. 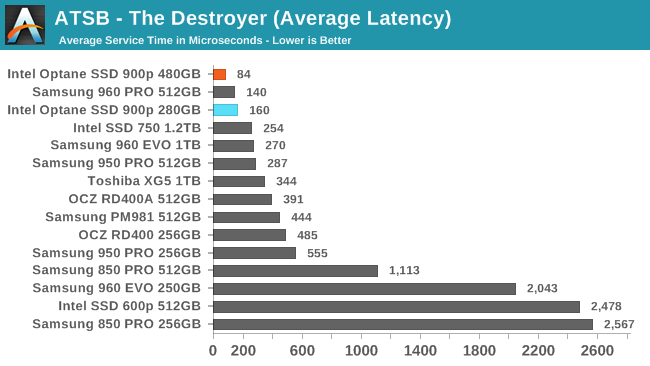 The two capacities of Optane SSD 900p have essentially the same average read latency that is less than half that of any flash-based SSD. 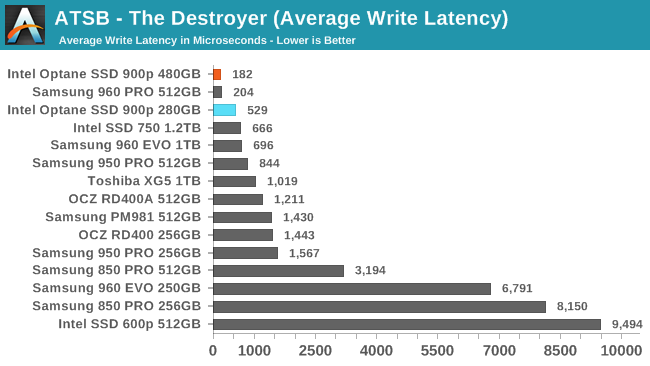 For average write latency, the 480GB model sets a new record while the 280GB performed worse than it did the first time around, but still faster than anything other than the Samsung 960 PRO. 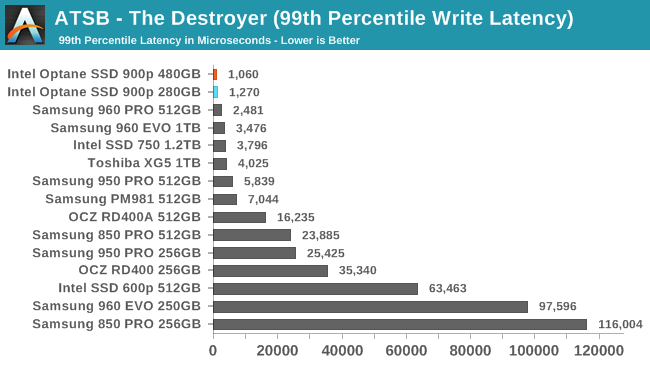 The 99th percentile read and write latency scores for the Optane SSD 900p are all substantially better than any flash-based SSD, even though the 280GB's results again show some variation between this test run and our original review. 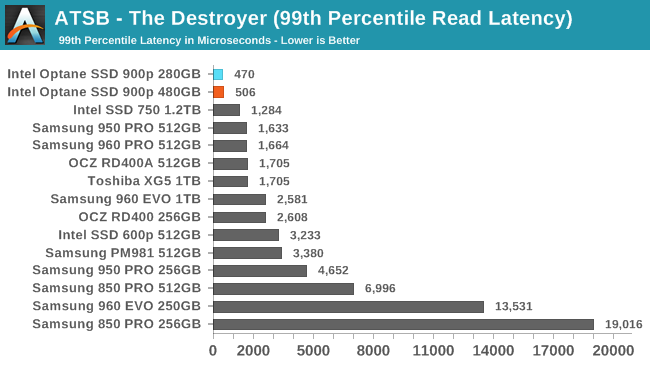 The 99th percentile read latency scores are particularly good, with the Optane SSDs around 0.5ms while the best flash-based SSDs are in the 1-2ms range.